Explore how social media can be used interpretively to expand your reach. Earn CEUs for completing this course? The Eppley Institute and the National Association for Interpretation have entered into a partnership and would like to track NAI members registering for interpretation courses on provalenslearning.com. Please click the box if you are a member of NAI. Social media has a unique and increasingly important role to play in interpretation by offering a public process for telling interpretive stories. The participatory nature of social media opens opportunities for a collective search for meaning in an artifact, place, or experience, and an evolution of the traditional interpretive program into a storytelling process that is crafted largely by the participants. Sharing capabilities make it possible for great stories to spread quickly, not just to groups of friends, but to millions of users. 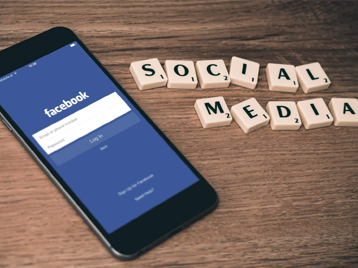 With the ability for comments on social media posts, users can add their knowledge and experiences related to the original post to create a common story with multiple points of view. This course will instruct learners in the basics of social media and how to create posts that will engage their followers interpretively. This course is self-paced allowing you flexibility in the time needed to complete the course. You decide the order and progression you’d like to take, allowing you to revisit and review sections in greater depth as needed. Following the course, you will complete an assessment which requires you to demonstrate your understanding of key course concepts. Upon successful completion of the assessment you will be awarded an electronic certificate of completion. Describe the advantages and disadvantages of using social media interpretively. Explain how to apply interpretive principles to social media. Recognize how to appropriately engage with virtual visitors in an online environment. It is recommended that students taking this course have experience in interpretation. There are no required prerequisites, but it is recommended that students complete the free Foundations of Interpretation course prior to taking this one. Aside from an internet connection, what resources will I need for the course? No additional resources are required for this course. Will I get a certificate after completing the course? Yes! All courses include a final assessment to evaluate your understanding of key course concepts. A certificate of completion will be offered to you if you complete the assessment with a score of 80% or higher. Each Eppley e-course is designed collaboratively among experienced instructional designers, subject matter experts, and our partner organizations and institutions. The course curriculum includes current information and best practices in the field, and it is recognized by national leaders in parks, recreation, and land management. Not only will this course benefit your career by expanding your knowledge base, but it will also enhance your application and problem-solving skills. For more frequently asked questions, please visit our Help Center. This course is also offered as part of the Intermediate Methods in Interpretation Certificate.